Medwiser is different from almost every other nonprofit organization. We have no paid staff. Medwiser’s content is free to use by anyone or any organization. We are driven by a global community of volunteers– all dedicated to stopping the spread of HIV. Dr. Michael Morgenstern is a volunteer and founder of Medwiser. He started Medwiser in 2005, to educate, enable and empower individuals worldwide to prevent the spread of HIV. Prior to his establishment of Medwiser, Dr. Morgenstern, a neurologist, inventor and entrepreneur established Silvergate Evaluations which has helped thousands of highly educated immigrants working together with their attorneys to support their visa applications. Dr. Morgenstern is a Neurologist, a member of the American Academy of Neurology, American Academy of Sleep Medicine and Medical Director of Morgenstern Medical, a Sleep Telemedicine practice in New York. He is actively involved in research that focuses on the development and application of artificially intelligent diagnostic technology. Why is Dr. Morgenstern so interested in HIV prevention? Click here to read his blog. 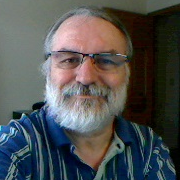 Carl Herbert is a Senior Software Engineer with 35 years of experience in enterprise systems in the US and internationally. His most recent tenure was as a lead developer for a Fortune 100 company. He has brought with him a strong background in all phases of the project development life-cycle including, analysis, design, implementation, testing and product support. Experienced in positions of increased responsibility for organizations involved in cutting edge technology, Carl is Medwiser’s most senior developer and is responsible for overseeing and perfecting the organization and development of innovative technology at Medwiser. Michael Oberstein serves as a director of Medwiser. He is also a former Finance Department Chair, at NYU- School of Continuing Professional Studies and currently a professor of economics at Brooklyn College. Oberstein holds an M.B.A. from the University of Pennsylvania’s Wharton School of Business. He has an extensive background in banking, portfolio management, merger and acquisitions, start-ups, new business development and global wealth management. His 20-year career includes positions with Lehman Brothers, Kuhn Loeb, and Bear Stearns as a vice president. Oberstein has over 15 years of experience as CEO and founder of Wharton Income Group, an investment bank and wealth management startup firm that grew to amass a client asset base exceeding $350 million. George Klein is a director at Medwiser. He is also the managing partner of The Law Offices of George Klein Law & Associates, a boutique law firm located in Forest Hills, NY specializing in bankruptcy, corporate, trusts & estates, real estate and securities law. Mr. Klein established his firm over 20 years ago after working for several years in a large corporate law firm in New York City following law school and admission to the NY State Bar in 1984.